HT02. 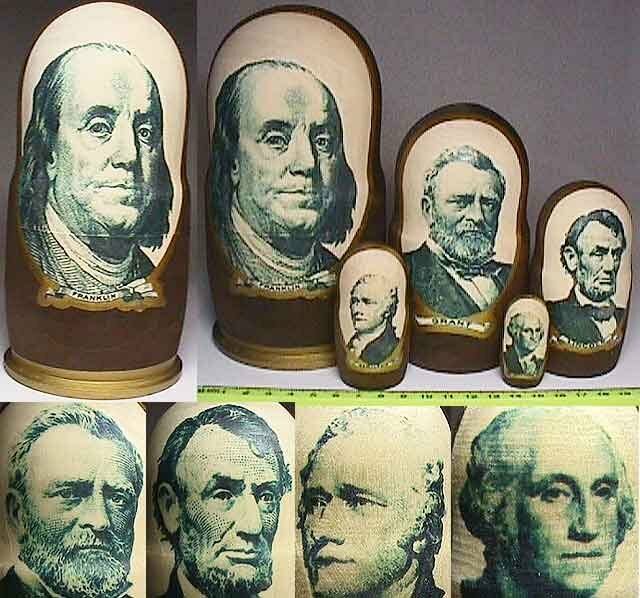 "Dollars" Presidents 5n 6.5"
These really uncommon Russian wooden nesting dolls "Dollars" (5 pieces) are made in a rather original style. Decals are used. The Matryoshka dolls portray famous American politicians. The United States presidents Franklin, Grant, Lincoln, Hamilton and Washington are depicted on the dolls the same way they are at dollar bills.